That happiness would spring from growth certainly makes sense. For we are never more alive than when we are growing and becoming, and happiness always comes more out of life and aliveness than out of death or decay. 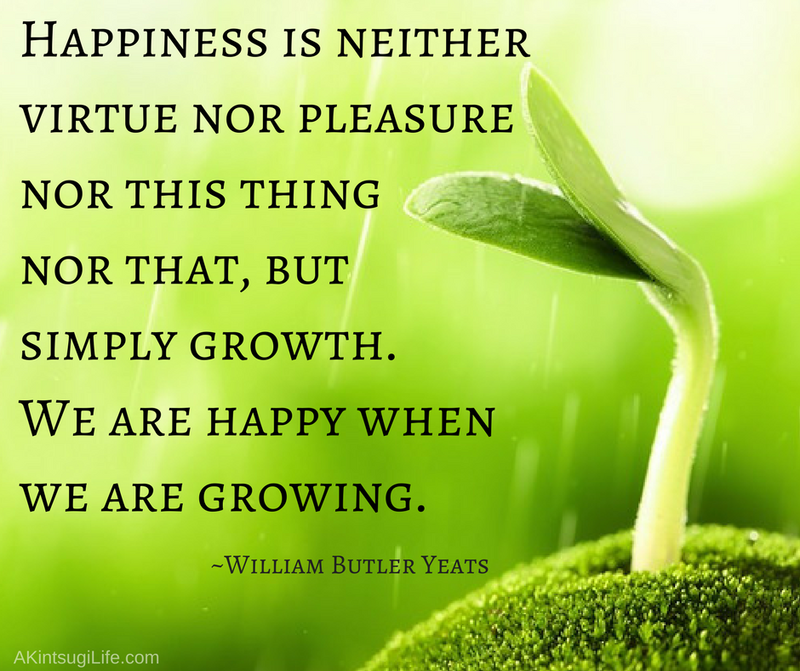 The good news is that growth is always something we can choose, and that means that we have the means to move toward greater happiness any time we wish. How are you growing right now?